When choosing a self storage provider, we recognize the top priorities in selecting a storage facility include prices that fit your budget and location, as well as the convenience of extended access hours and online bill payment options. Let us help simplify things and guide you through the moving & storage rental process at our Morgan Hill Storage Facility. Whether you’re looking for temporary storage or a more permanent solution, Cochrane Road Self Storage has a variety of small, medium, and large unit sizes to fit your needs. Our drive-up units make loading and unloading your possessions both easy and convenient. Our interior units are accessed through extra wide doors, and all units are individually alarmed which provide customers with piece of mind. Our Self Storage customers can even opt to receive an auto notification on their smartphone should their unit alarm go off. We take pride in our facility and appreciate your trust in us, so any time a unit alarm is triggered, we inspect immediately. Customer satisfaction is our top priority, with friendly onsite managers ready to make your experience a breeze. Whether you need some extra space to store residential, seasonal or holiday items, we can help you find the right size unit to fit your needs. For business customers, we provide a variety of solutions for document, record & inventory storage, as well as equipment and seasonal displays freeing up space to help you run your business smoothly & efficiently without using valuable square footage for excess storage. To help make your move in even easier, we also have carts and dollies available for customer use and sell locks for customer convenience. We strive to make moving and storing as easy and seamless as possible. Our friendly and knowledgeable managers are here and ready to help. 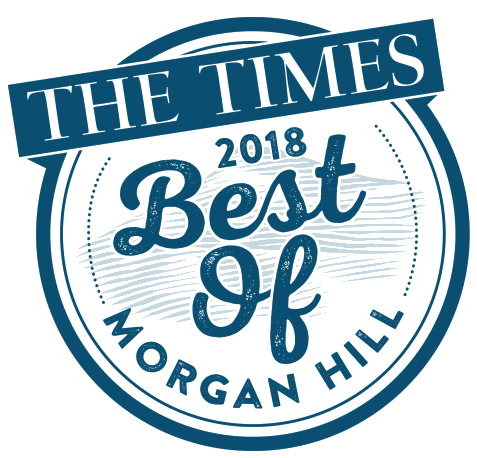 We invite you to visit our storage facility today and experience why Cochrane Road Self Storage is a 2018 Best of Morgan Hill Times Award Winner!